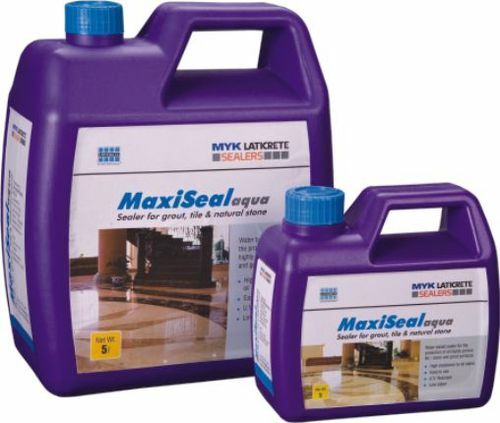 MaxiSeal aqua is nano technology based impregnating sealer with water as a carrier designed for the protection of all highly porous tile/stone and grout surfaces. This product imparts oleo phobic properties, highly resistant to oil, water, alkalis and acid staining damages. It penetrates into the surface and forms an invisible barrier by allowing vapor to escape. It keeps the natural colour of tile & stone intact. All surfaces treated with MaxiSeal aqua are harder and less slippery. It is ideal for interior as well as exterior application and recommended for grout, ceramic tile, porcelain tile, granite, marble, lime stone and brick. Manufacturer of adhesives, grouts, sealers and sealants.